Camera stuck in night vision mode and won’t listen to your cries of “Make it Stop!!”? 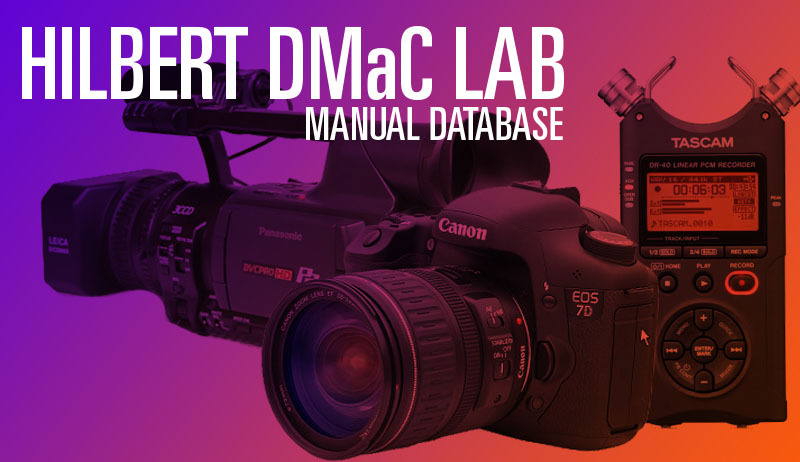 Take control of the situation with these handy dandy manuals featuring a variety of equipment we have right here in the DMaC Lab! Just a quick update on a seminar we’ll be having in the lab later on this month. The time of the semester’s first DMaC L!VE event has been changed from 6:00pm to 3:30pm. We hope that you will join us, as we plan on pulling out all the stops in an effort to inspire students both in and out of the department to take up the keyboard and get to designing! See you there! 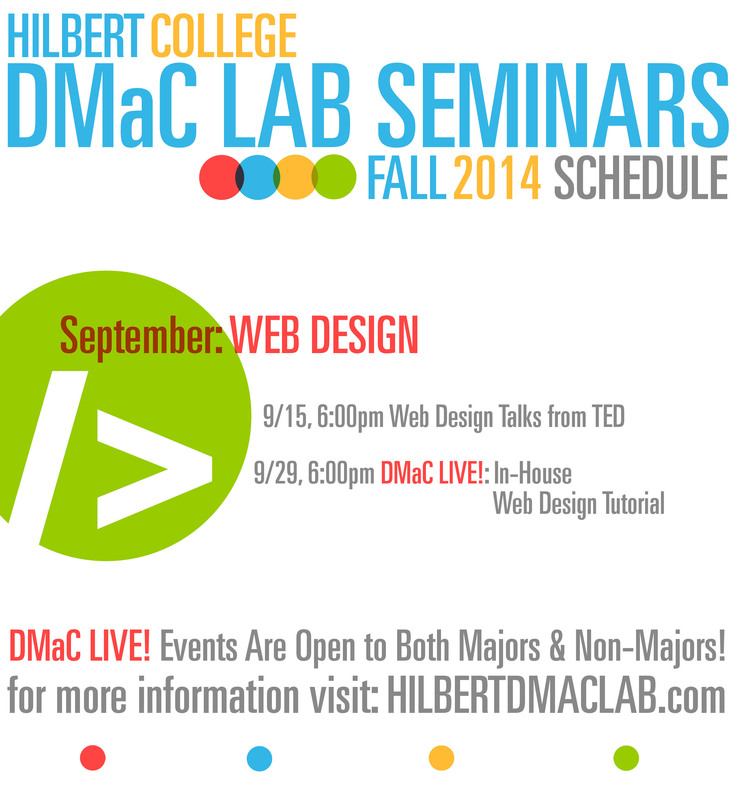 We’re excited tonight to announce the official lab schedule for the Fall semester. Feel free to stop in any time to have one of our DMaC Lab Staff Members™ help you with equipment rental, lab software, or just to say hi! Any changes to the schedule will of course be noted here on the blog. Hey folks, some exciting news to share today! September is WEB DESIGN month in the DMaC Lab, and to kick off our new DMaC Lab Seminars series we’re going to be featuring a number of talks and live tutorials straight from the world of HTML and CSS. At 6:00pm, September 15th, the lab will be screening 3 talks featuring design principles and code tutorials straight from the TED archive. 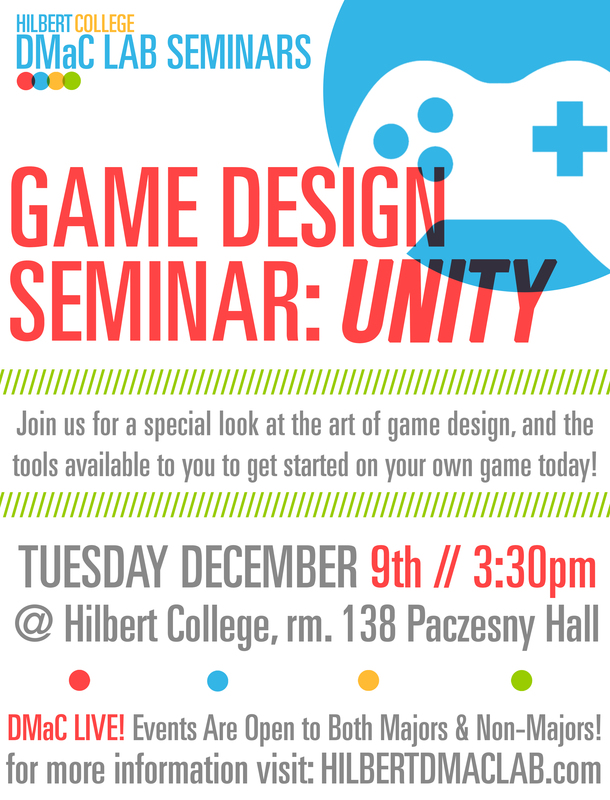 Stick around after to discuss the tips and tricks you’ve learned with other students as well as the DMaC lab staff! 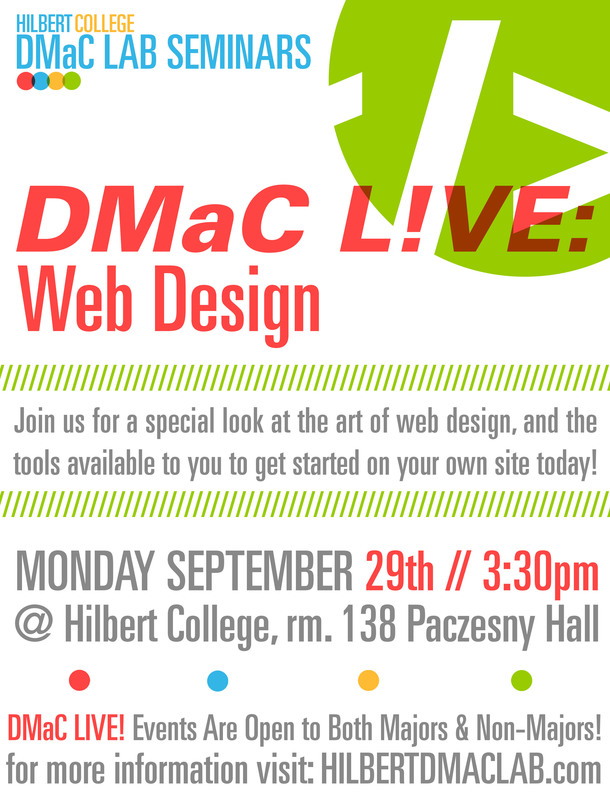 Then, on Monday September 29th (6:00pm), stop on by for a special DMaC LIVE! event, where we’ll be giving a live demonstration of web design software found in the DMaC lab, and allowing hands on time with the code discussed! Whether you’re new to the code game, or just looking to brush up on the basics, the DMaC Lab will be your home for Web Design this September!! Announcement Time: EDIT 4 NOW OPERATIONAL! Hey folks, just a quick update on some goings on within the lab. Some of you may know that we’ve got big plans for the (formerly titled) audio room that we’re going to be talking about in the coming months. As of this posting however, know that it is currently open for business and available for use (making it officially Edit Booth #4). It has the complete Adobe Production Suite on it and is ready for your editing/Photoshoping/animating needs. We’ll be announcing some important info about Edit #4 soon, so be sure to keep your eyes glued here!